Thank you for taking the time to stop by and see what Pine Acres Carriage Service, LLC can offer you. If you are looking for a unique experience you are sure to find what your looking for with one of the many services we provide throughout the state of Ohio. With over a combined twenty years of horse drawn carriage experience and seven years of live reindeer experience. Let us put our many years of experience to work for you. Contact us today to find out more information or request a quote. Weddings, engagements, anniversary, birthday, prom, homecoming, parades, town festivals, corporate events and much more! Ask us how we can help with your next event. 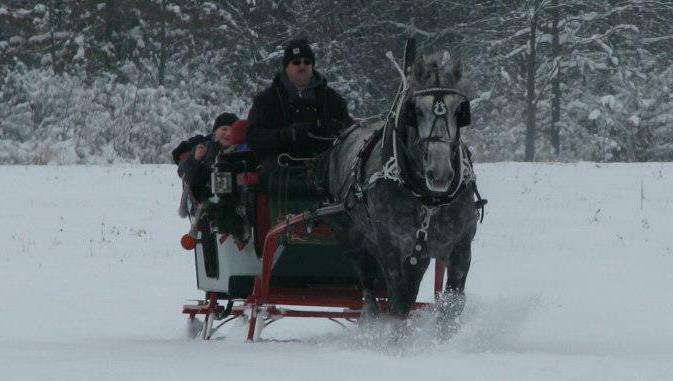 Have you ever dreamed of sleigh ride through an open field? Let us make it happen find out how. ​Looking for something truly unique for the holiday's? Ask us about live reindeer appearances at your next holiday event.